Although the enamel that protects our teeth is the strongest substance our bodies have, it is not invincible to everything and can be damaged. That’s where fluoride comes in to build our enamel back up! Fluoride works to resist harmful acids and bacteria that can otherwise weaken our enamel, which eventually leads to cavities. We have naturally occurring bacteria in our mouths that create acids which attack our enamel. The process in which fluoride helps to rebuild enamel on its own, is called “remineralization”. Is it Possible to Have Too Much Fluoride? There is a condition called fluorosis, which develops when a child is exposed to too much fluoride before their teeth are fully developed. This condition remains a potential concern until around the age of eight, at this point the teeth are fully developed. Fluorosis is not an extremely serious condition and is not particularly harmful to teeth, it’s main side effects are streaks in teeth. Typically, these streaks are not very noticeable but can become darker over time. Treatment of this condition usually comes in the form of a cosmetic procedure to remove the streaks or spots on the surface of the teeth. What is the Right Amount of Fluoride? Fluoride should not be used if a babies teeth have not arrived because it’s main purpose is to help build up enamel. Once a child’s first teeth begin to arrive, it is important to go to the dentist to evaluate their oral health and determine whether or not they will need to begin using fluoride early. If your child is younger than three years old, they should only be using toothpaste in the amount of a small grain of rice. 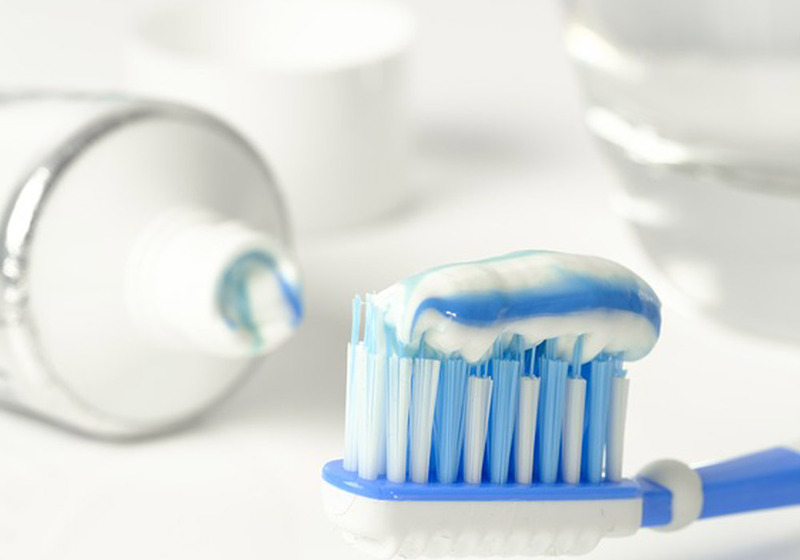 Using this small quantity is important because young children often end up swallowing their toothpaste since they do not always have the control to spit yet. Another source of fluoride that has proven to be very helpful is drinking water. Almost all drinking water is fluoridated, which is another reason why water should be the main beverage of choice for everyone. For this reason, children should not be given any sort of fluoride supplements or special mouthwashes unless instructed to do so by a dental professional. If they are given too much fluoride, they can risk developing fluorosis. If you want to learn more about fluoride and its benefits for you and your child give us a call at (281)-579-8700 to schedule an appointment!